City Social's Private Dining is a unique space to hold all events. 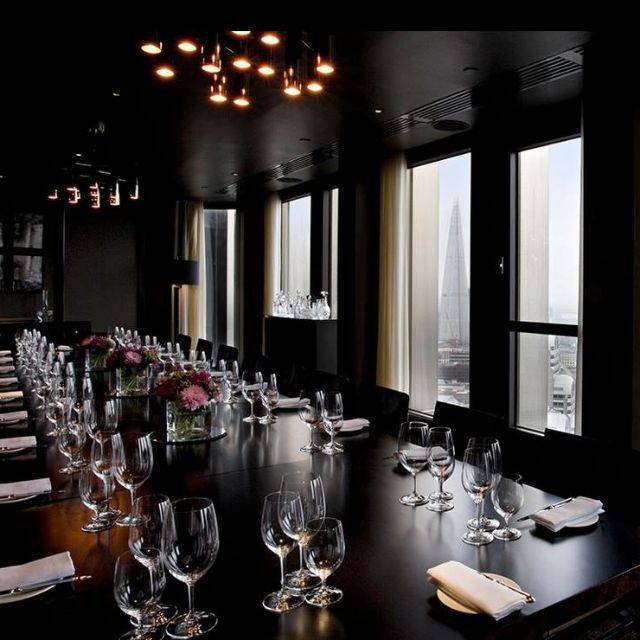 We have a private dining room and a chef's table available for every occasion, hosting floor to ceiling windows with breath taking skyline views of Central London. 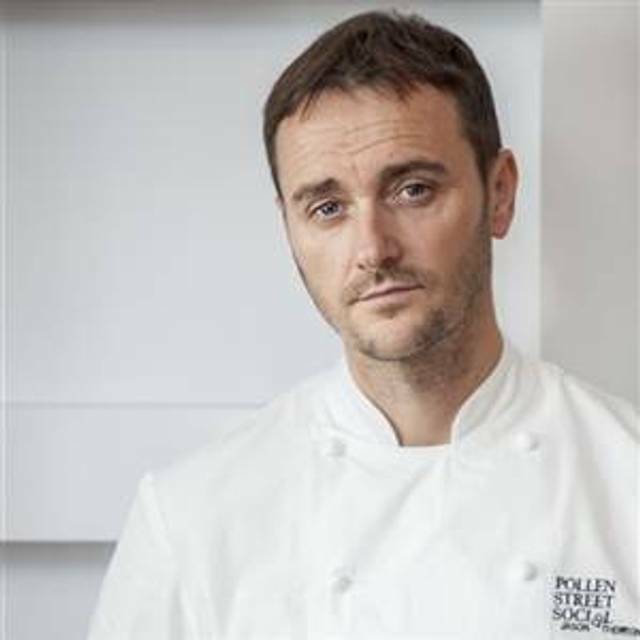 City Social is operated by Michelin starred chef and restaurateur Jason Atherton, in partnership with Restaurant Associates. The restaurant is situated on level twenty four of Tower 42, the iconic skyscraper situated in the heart of the City of London. 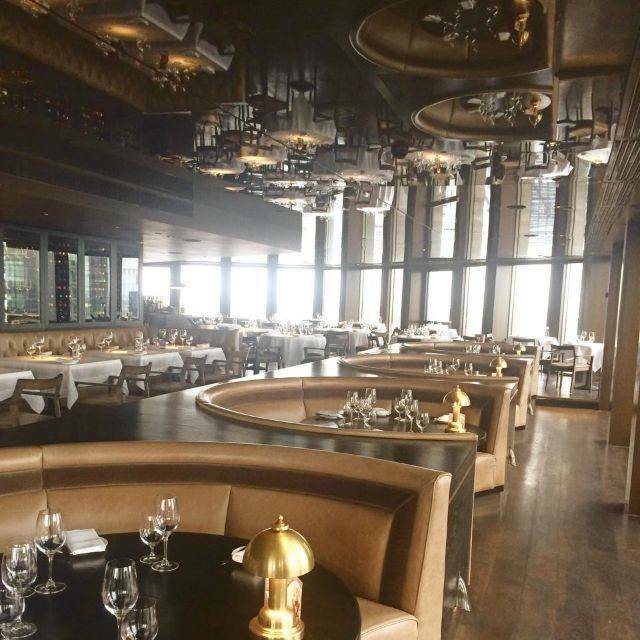 City Social is a restaurant featuring art deco style interiors against the backdrop of the stunning London skyline. Jason Atherton and Head Chef Paul Walsh have designed a menu which features creative yet simple dishes, showcasing the best of British ingredients in a beautiful environment. I think there are other spots in London that provide better food with a view. This place lacked anything that would place it apart from an average city joint. Wine list is massively over priced, waited 35 mins for a cocktail which they didn’t take off the bill out of courtesy and I had to be told this place has a Michelin star. Will not go back. Fine dining as expected. Recommend the rabbit and rum baba. 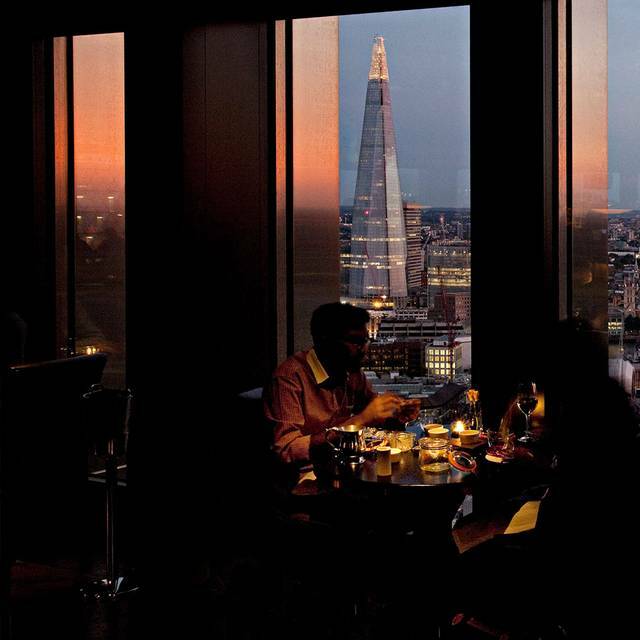 A stunning restaurant with fine views if you can get a booth. Staff were professional and friendly, the ambiance perfection. The evening was let down by having to wait so long for the mains, I believe it was over an hour. The starter was fantastic but the main was bland. Once we had progressed to the dessert, one person had been served well in advance of the rest of the table so by the time we received our dessert they had already finished theirs. We were also promised a free dessert as it was a birthday celebration but we didn’t get it. Unfortunately I wouldn’t return, I expect the food to be exceptional at those prices and it wasn’t. Delicious food with a great view. Staff were very polite & helpful. Great food and staffs are very welcoming. Good view and good ambience. However, for a one Michelin’s star restaurant, wouldn’t have expected the wrong set of cutlery being placed for customer. Having said that, the overall experience was great. Also got a free slice of birthday cake from City Social! Very good but not exceptional food paired with below par service such as forgetting to bring some dishes downplaying allergies and a Sommelier who has a hard time recommending wine make for an acceptable experience that falls far shot of expectations from a Michelin starred restaurant. 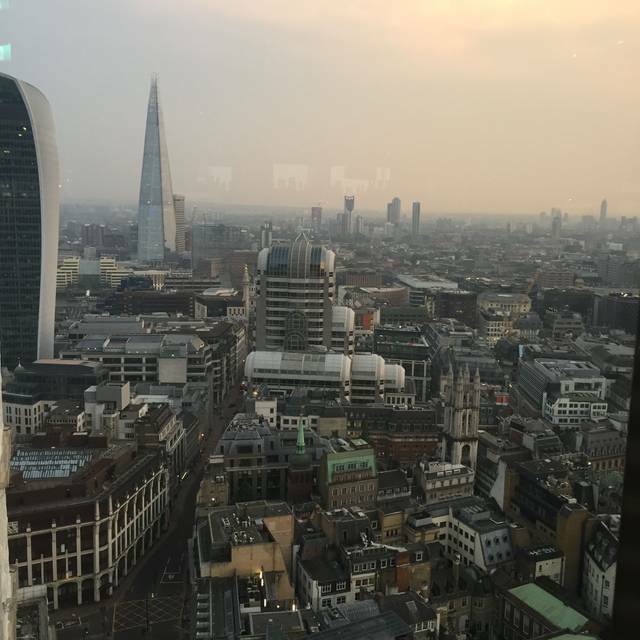 Overall it was great experience, lovely staff, food was fantastic... as were the views of the London skyline. Would highly recommend. Without any prompting, the staff also brought out a bday cake which was a nice touch. I was excited to come to City Social, as the views and reviews about food were outstanding; however service was horrific. Upon arriving, we ordered cocktails. After waiting 20 minutes, we asked where our drinks were and were told one fell so they had to remake it. I don't understand why no one told us. After finishing our cocktails, we waited another 20 minutes before we had to ask to order wine and food. Our wine glasses arrived but no wine. 15 minutes later we asked and were told they were out and would get us a similar priced bottle. After 1 hour we finally got our wine and appetisers. A manager was kind enough to move us to the window after all of that. From that point on, the food was amazing and manager continued to check in on us. Overall, amazing food, views, and ambience. Shame the service is so bad - tip to management, people come to a fine dining establishment for great food, but more importantly service. Treat your customers better. Can't say I'll be back. Amazing food, stunning views and great table service slightly tarnished by an unfriendly Maitre’d and mediocre, overpriced wine. Went to this place first time and had read good things about it. To be frank, the service was attrocious! We had to wait around 20-25 minutes for our main course and desserts and on 2 occassions we had to get up and go to the bar to grab the attention of the waiting staff. Nobody had their eye on our table to see if we needed anything. When we got the bill we told the person in charge of our table that we were not happy and instead of being sorry he lied by saying their system showed the food had come out within 15 minutes of ordering. He went away and came back with the bill and said he had taken off the service charge. This service charge was discretionary and we were not going to pay that anyway! It was so bad that they refused to do anything further or even offer to reduce the bill. We still paid the £145 bill but I would never visit again and I would not reccomend this place to anyone which is a shame because the views were lovely! HORRIBLE SERVICE!!! Unacceptable for this type of restaurant. Avoid! I am actually lost for words here. The audacity to add £30 to the bill for their ‘service’ is almost amusing! Almost! To say the reception was cold would be a blatant understatement! It was bloody rude!!! Nevermind. ‘Fast’ forward to our table, after 30min wait for our cocktails at an empty bar staffed by two people , we have arrived! Hurray! Although there is just roughly a dozen things on the menu and a handful of tables occupied, the first thing we learn is that they have ran out of the rib-eye steak! Oh dear! Quite funny but that’s OK as we actually fancy sharing something for my lady’s birthday. We go for the only sharing option on their menu and that’s lovely, too, though a bit expensive if I may say. I am not even going to name it here because...??? The place is so pretentious it’s not even real life and sadly it is equally far from what is actually expected! We spent our 7th Wedding Anniversary meal with City Social. Food unquestionably good...service even more so. The team went above and beyond to give us one of the best London dining experiences we have ever had. Michelin rating...100% deserved. Thank you City Social, we will be back...The Meerlust couple. A beautiful restaurant, fine dining and great for a special occasion. I enjoyed the food, the cocktails were good too, but the wine list slightly overwhelming and over priced in my humble opinion. The staff were all wonderful, really professional, but not too in your face. And the chef came and spoke to us, which was really nice. I thought this was a fantastic restaurant, would recommend. Excellent food, excellent service. Waiter was friendly, informed & helpful. And a great view to boot. 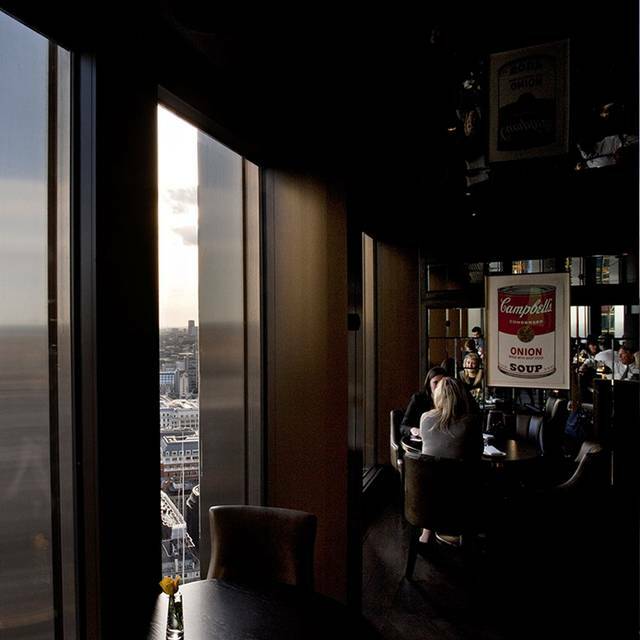 The restaurant has amazing views over the gherkin and London overall. The food, however, was just ok. It is overpriced, lacks originality. The waiters were checking up on us too much. 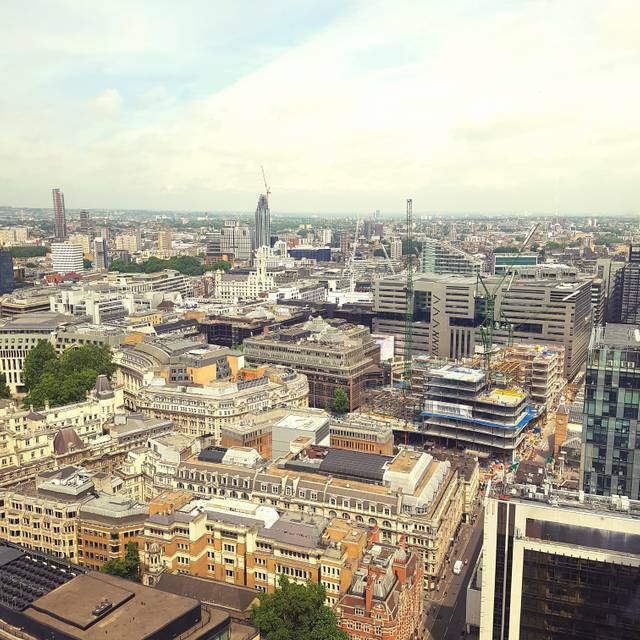 Overall, a great place to impress someone with views over London. An impressive place with an impressive view and excellent food. On the pricey side and a little on the dark side - great for admiring the City lights, perhaps less ideal for a first date. Outstanding quality; food was excellent, service amazing. Definitely a recommendation for your visit London. Perfect location for business dinner. 24th floor, stunning view over London, little bit of Dubai feeling. We had a private dinner on a business trip. Perfect evening for me and my wife. It was a beautiful setting with very good food however apart from our first waiter the service was a tiny bit confused but I think it’s because people were new. Could do with a bit more outside direction tho it’s hard to find if you don’t know where to go. Very slow, terrible service and it is definitely not value for money. The waiters do not keep an eye at your table in order to refill the wine glasses and each time you need wine from your bottle, you have to ask them. Also, the portions are too small. Finally, the tables are next to each other. It's like sitting with others. I know everything about the couples who were sitting on both sides of our table. It is impossible to have a private conversation. It was so slow! Our table was booked for 8.30pm, we sat down at about 8.50pm but no food was brought until bread arrived at 9.50pm. Far, far too slow. We went to City Social for my other half’s birthday meal, we had a lovely time, great service, fantastic food and delightful wine too. The only slight disappointment was being unable to get a window seat, but the staff were very accommodating and the atmosphere was great we soon forgot about the views anyway! Certainly would recommend anyone thinking of booking for a special occasion or date night! The view is spectacular but you can go up to Veritigo for a lovely cocktail which is much better value. Service was so so - water order incorrect, vodka and tonic had no noticeable vodka in it, no choice of gin or vodka or tonic, too many different servers but nice maitre d’. Table looked tired, no table cloth, starter was overly vinegary, bread ok, my main was lovely but my partner said the steak was better in the Ivy and presentation was poor. Really this restaurant could be summed up as lovely location very average service and food. Am frankly amazed it has a star. We ate at another starred restaurant in December and it was a culinary dream. For tourists not foodies. Generally great but a few lapses in service. It wasn't enough to spoil our night but at this price point its noticable. I requested a window and noted it was a birthday for my girlfriend, we got the window seat (we were among the first in the restaurant) and a lovely b-day cake arrived at the end of the meal (with candle). That was a nice touch. The views were incredible and the food was of course top notch, both beautiful and actually filling (not tiny pretentious portions). The wine is a rip off, a 2015 Quinta da Lagoalva Reserva (online around £10) is on the menu at £55 (plus 20% tip). Ouch! Even with my limited wine knowledge I could tell it was pretty standard. The service was generally good but a little patchy, our food took a long time to come out and our glasses were refilled once but then not again even when left empty for a while. Not a big deal but if its part of the service remember to keep doing it. The waitress also accidentally spat in my face when she was talking over me. Yuk! Service was impeccable, very polite and lovely manner. Food was delicious however some dishes a tad bland. Atmosphere is warming, cosy and wonderful views. The only negative criticism is the chairs aren't all that comfortable and give you back ache. Thank you and i will be back. 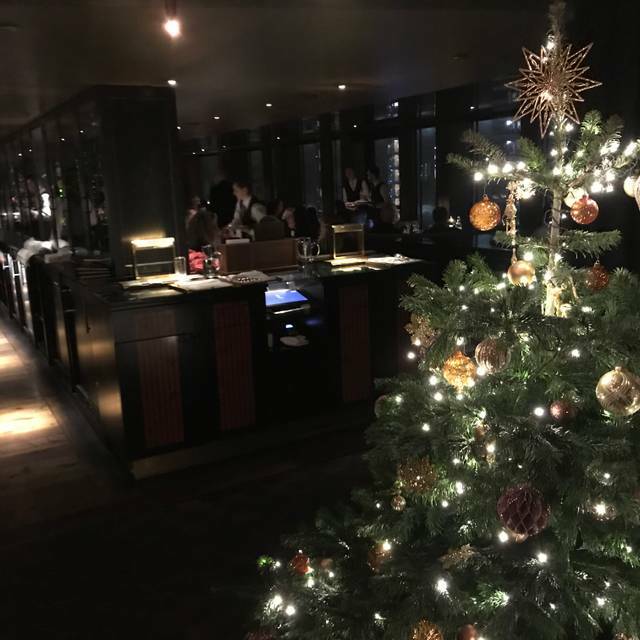 The food and service is very good here, the attention to detail from the staff is excellent and there is a real fine dining feel about the dining hall. We were sat at a table and not one of the coveted booths which overlook the skyline but the experience was not flawed by this. The food is beautifully paired with complimenting flavours on the plate to bring together a wonderful experience on the pallet with each mouthful. The waiters will recommend wine if you wish them to and pairings with the dishes are also available. They have a partnership with a champagne company which meant not spending a small fortune and the wine by the glass list is very good and reasonably priced for such an establishment. My one recommendation to the establishment would be to review the gentlemen’s bathroom as this does not feel very premium nor does it match the fine quality of food and drinks menu. Be sure to take in the views from a window table in the cocktail bar overlooking the skyline as this served as a great preface and end to our experience. The staff went above and beyond to cater for one vegetarian and also brought out a small birthday cake and candle to mark our special occasion. I would highly recommend this place as an option for a fine dining special experience where you can expect the value to match the exclusivity of the venue. Not great service on this occasion, v poor communication from the staff. - Starter and dessert were both ruined by some issues in the kitchen. One starter was delayed by 15 mins whilst the others (party of 4) were going cold. After 35 mins no desserts, when queried was told that a kitchen malfunction mean they were going to start again! I cancelled the desserts. They did reduce the cost by one starter and I asked for the service charge to be removed, which they did. Main course was beautifully cooked and presented. I’d definitely go again for a special occasion as I couldn’t find anything that didn’t meet or exceed our expectations. It was the first time visiting the restaurant, the food was better than expected and the view was amazing! Staff were friendly, a bit to much on our case. I also prefer to have one waiter who we can communicate with the whole night, not 10 different ones. I had the gnocchi which chicken, it was goood! The restaurant was very accommodating of our special requirements which was very much appreciated. The service was a little chaotic and I’d expect more from a Michelin starred restaurant. However, the food and atmosphere was good. Overall, we had a great time. Food was ok. I didn’t find it extraordinary. It could be better for the price. I think we were paying for the view and atmosphere rather than the food itself. It was my birthday and I requested them to give us a nice seat. But the table we got was the farthest away from the window. Over all, the whole experience was nice but i think it was overly priced for what it was. I won’t come back again. 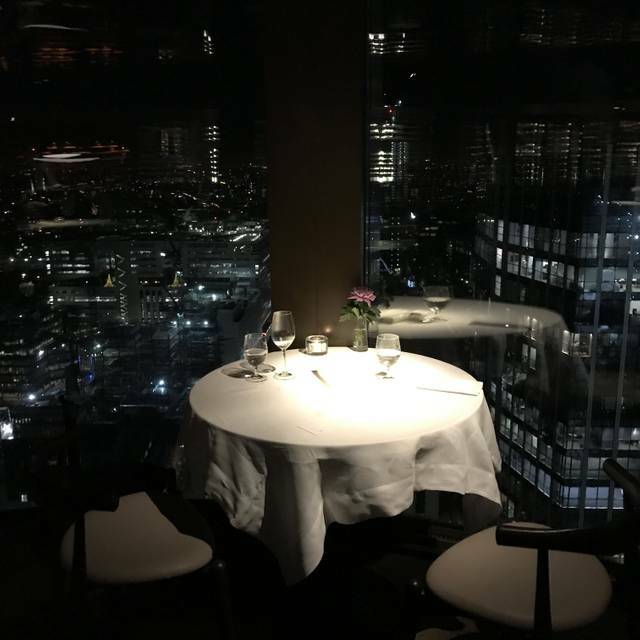 We always choose Jason Atherton's restaurants for our anniversary as they guarantee to always have amazing experiences, unfortunately this one was the exception; Although our dinner was not unpleasant, it was not what we expected. The floor staff were all amazing and really took care of us! Amazing people! The time food took to arrive was way too long... starters took over 30 min at least and then mains another 30 or more min. Drinking glasses smelled like they weren't washed properly. Food: it was all right but nothing jaw dropping. We decided to take the time to send feedback as we hope this was a one off and can keep enjoying the greatness Jason Atherton's restaurants normally offer. Excellent food with a view on admittedly a very clear day was spectacular. Why bother with the Eye when you can have a better view from the both the bar and restaurant. Must go again in the evening. Nobody has communicated in advance about the existence of a so called “Valentine’s menu” with a mix of stuff not suitable to people with allergies. Luckily two waiters have helped in sorting out a very strange situation.